A double bill featuring Kamahl and Louis “Satchmo” Armstrong is the next program in the Arts on Film series to be screened this Wednesday August 7. 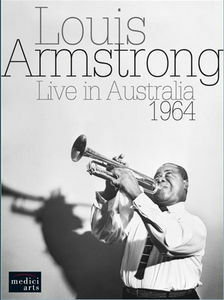 Louis Armstrong : live in Australia, 1964 features the legendary jazz trumpeter and singer, performing on a 1964 Australian tour. Songs include – When the Saints go marching in, High Society, Now you has jazz and many more. 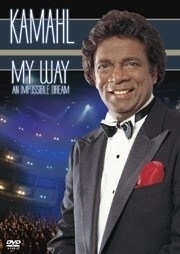 This is followed at 12.55 by Kamahl : my way, an impossible dream, featuring a nostalgic collection of performances by singing legend, Kamahl, one of the most loved & successful recording artists in Australia. Songs include – Sounds of Goodbye, My Way, Ol’ Man River and many more. The Kamahl & Louis Armstrong double bill commences at 12.00 noon and concludes at 2.20 pm (approx). It will be held in the new Community Lab. Enter via the Arts Reading Room (from Trescowthick Information Centre). Admission is free. No bookings required, but come early as seating is limited. Enjoy!